Thanks so much!! We appreciate you! The Enjoy Shots sure are phenomenal! Thanks again!!! Glad you enjoyed your visit and that Spencer was so helpful, evabrown! We hope to see you again soon! Thank you for the kind words, I'm glad you enjoyed it!! Hopefully we'll have some new strains dropping soon! Thanks so much! We definitely have some tasty strains! Feel free to branch out and try some more. Don't be afraid to as your budtender for some suggestions. Thanks again for stopping by and we hope to see you again soon! Gelato33 + TK is fire!! Smell and flavor last through the entire bowl! 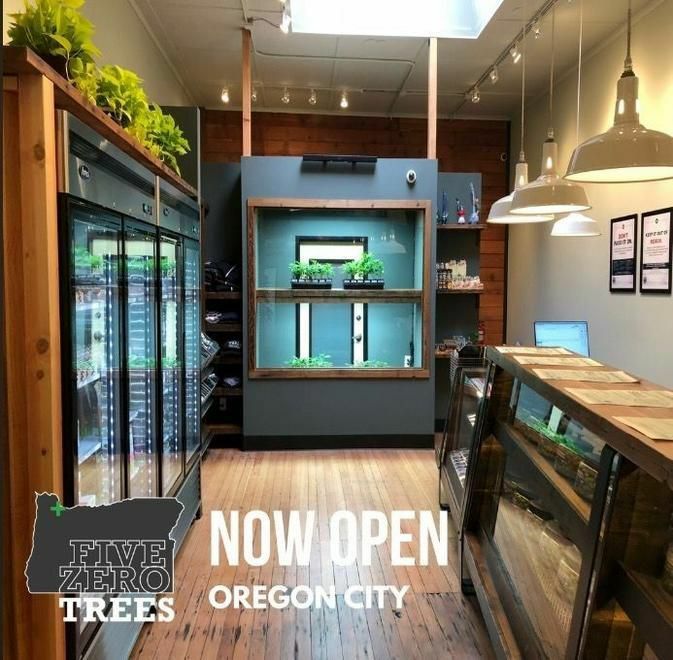 Found my new dispensary favorite @ 50🌲Oregon City! Thank you so much! Glad you found a strain you love! and happy we can be the go to dispensary for you! The Dogwalker by Grizzly Farms is totally fire! and We're so happy that Spencer helped you find an awesome strain don't be shy to try more amazing flower by Grizzly and our other wonderful farms we have on hand everyday! Duly noted Calllen5411, Allow me to do some research on great companies to showcase! If you have any suggestions, please let us know. Otherwise please enjoy your day and don't be shy to come on back! I thought I would share my top 3 strains at Five Zero Trees: 1) "Astral OG" by Ten-Four farms (707 Headband x Platinum GSC) - Top shelf bud that sometimes makes it on the 20% off daily rotation. The cerebral head high from the headband and the potency of GSC make a wonderful combo that is paired very well. 2) "Biker Kush" by Pudding River farms (Hell's OG x Lucifur OG (Hell's OG x SFV OG KUSH)) - Nugs are medium / smaller in size, but the dark green and light purple tint all over which made a great looking flower. This strain will knock your socks off! Definitely kicks hard and very fast. It's not often I feel buzzed from the first rip, and numerous times even when smoking "Biker Kush" for consecutive days. I need 33% less plant material to get where I need to be compared to 95% of other strains. 3) "Mandarin Cookies" Clear Creek farms (Mandarin sunset x Forum Cut GSC R1) - My favorite strain for a long time was "Forum Cut GSC" by Pudding River farms here at 50Trees, this Mandarin cookies is the same potency but nicer nugs and better terpines.